Ce document au format PDF 1.6 a été généré par OmniPage 12 http://www.scansoft.com, et a été envoyé sur fichier-pdf.fr le 28/04/2017 à 10:11, depuis l'adresse IP 41.111.x.x. La présente page de téléchargement du fichier a été vue 244 fois. Taille du document: 2.2 Mo (66 pages). of these various concepts in treatment plant design . T ways ideal for waste treatment . has not generally enjoyed the favorable reputation it truly deserves . treatment of a wide variety of industrial wastes. with treatment control and design . waste is mixed with large quantities of microorganisms and air. excluded. Under these conditions . carbon dioxide and methane gas . 1 . A high degree of waste stabilization is possible . 2 . Low production of waste biological sludge . 3 . Low nutrient requirements . 4 . No oxygen requirements. 5 . Methane is a useful end product . organic acids indicated in Table 2.
acids will increase in concentration . of the bacteria specifically responsible for production of certain acids . doubt proceeds through a long series of complex biochemical steps . methane in anaerobic treatment . shown without an asterisk, is converted to carbon dioxide. is never a limiting factor in treatment of complex materials . other wastes of similar composition . help of several different workers . prepare it for handling by the next . of the complex waste shown in Fig . only 13 percent of the methane. action of many different bacteria . waste stream where it can be collected and burned to carbon dioxide and water for heat . treatment are shown in Table 1 .
stable and will not present a nuisance problem. are not limited by oxygen transfer . or producing electricity . .
can be used if the systems are adequately designed . or other environmental conditions . ∎ FIGURE 1 . The two basic anaerobic process designs are diagrammed below. warm and the temperature requirement does not present a limitation . if the process is to be economical . less than 6 to 12 hours . by acid forming bacteria followed by stabilization with methane forming bacteria . obic process than by aerobic treatment. readily susceptible to biological degradation, and only about 50 percent reduction in solids is possible . the two processes on an equal basis . ucts, carbon dioxide and methane . ability to ferment a relatively limited number of organic compounds . acid and methanol grow very rapidly and can thrive at sludge retention times of less than two days . growth and low rate of acid utilization normally represents the limiting step around which the anaerobic treatment process must be designed . waste treatment is well under way . ∎ FIGURE 3 . Pathways in methane fermentation of complex wastes such as municipal waste sludges . Percentages represent conversion of waste COD by various routes . intermediates to acetic acid and methane. significant, are of minor importance . in anaerobic waste treatment operation . Here . the methane production can readily be determined . sludge disposal, as well as the requirements for the inorganic nutrients, nitrogen and phosphorus . from anaerobic treatment of different types of wastes are shown in Fig. ∎ FIGURE 4 . Biological solids production resulting from methane fermentation. waste can be expected to vary between these two extremes . waste converted to biological suspended solids decreases with increase in sludge retention time. that the net growths are less . Thus . times . Such retention times also result in higher efficiencies of treatment . fraction of nitrogen in the cells . 11 percent of this or 0.011 lb/lb. 0 .002 lb ./lb . of BOD L.
represents the growth of new cells . Contact Process as Applied to Packinghouse Wastes,&quot; Sewage and Industrial Wastes, 27, 460-486 (1955) . Sewage and Industrial Wastes, Vol . Wastes, 31, 123-132 (1959) . 4 . Barker, H . A ., Bacterial Fermentations, John Wiley, New York (1957) . Federation, 35, 1501-1516 (1963) . 9. Buswell, A. M., and Mueller, H. F.
Chemistry, 44, 550-552 (1952) . on Water Pollution Research, London (1962) . 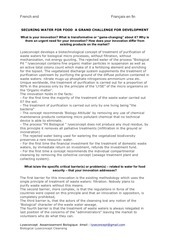 methods of organic waste treatment . chemistry as related to process design and control is being presented. environmental conditions for anaerobic treatment are listed in Table 1 .
dan proceed, but with less efficiency . quite toxic to the methane bacteria . waste be free from toxic materials . salts to toxic organic compounds . 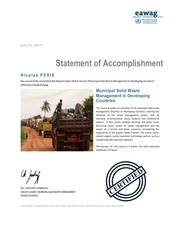 industrial wastes, and will be considered in more detail in the following article in this issue . of the other parameters are affected . affecting the methane bacteria . to day under normal conditions . decrease in efficiency of operation. effluent COD in the treatment of industrial waste. always be closely followed . in Table 3 should be observed . ,1 . Maintain pH near neutrality . 2. Determine cause of unbalance . 3 . Correct cause of unbalance . 4. Provide pH control until treatment returns to normal . time to correct the undesirable condition. and return to a balanced condition . composed of both bicarbonate alkalinity and volatile acid alkalinity . Sudden change in temperature . Sudden change in organic loading . Sudden change in nature of waste. ∎ FIGURE 1 . Relationship between pH and bicarbonate concentration near 95ƒF. in bicarbonate alkalinity and digester pH. time for control if an upset results . salts which form in the digester . of control, addition, and handling . more in the future . article in this series . ∎ FIGURE 2. The effect of lime additions on pH and carbon dioxide percentage . added after this point is reached . again, the cycle repeats itself. to raise the pH above 6 .7 to 6 .8 .
acids or for raising the pH . digester must be closely watched . WORKS . Sept., 1964 . Sewage Works Jour . 6. 3-13 (1934) . Miller, F. H . and Barron, W . T. .
and Water Pollution, 6, 65-73 (1962) . &quot;Nutrient Requirements and Biological Solids Accumulation in Anaerobic Digestion,&quot; Proc . Inter. Conference on Water Pollution Research, London (1962) . Control Federation . 1, 11-42 (1963) . Industrial Wastes. 26, 935-944 (1954) . of the process to waste treatment. follows is concerned with toxic materials and control. • sodium or calcium salts. As the con..
much less than this . which may be used in this control . complex formation will control toxicity resulting from some materials. their use can be very effective. ∎ FIGURE 1 . General effect of salts or other materials on biological reactions . 1 . Remove toxic material from waste . 2 . Dilute below toxic threshold . 3 . Form insoluble complex or precipitate . or failure of, anaerobic treatment . In municipal waste sludge, however . how it may be controlled. maximum efficiency of the process . a few days to over a week . normally quite undesirable for successful anaerobic treatment . present or is added to the waste . will actually increase the toxicity . they may become stimulatory if another antagonist is already present . all would be achieved . toxic salt concentration may be dilution of the waste . lower concentration than the ammcnium ion. monium ion plus ammonia gas concentrations . may have an adverse effect on an; If the concen. 7 .4 to 7 .6, the ammonia gas concentration can become inhibitory . jor precursors of sulfides in industrial wastes. ∎ FIGURE 3 . The control of heavy metal toxicity by precipitation with sulfides . of soluble sulfides formed which remain in solution in the waste during treatment . a soluble form, and gaseous hydrogen sulfide . the concentration remaining in solution . mg/L as sulfur, the pH were 7 .0 .
other gases produced during treatment . blamed for many digester failures . toxic because of their low solubility . salts which have no detrimental effect. metals` can be readily ascertained . well below that of the feed itself . treatment of many industrial wastes. Daily Feed Studies,&quot; Proc . 19th Industrial Waste Conf ., Purdue Univ. Federation, 33, 399-415 (1961) . gen and the Anaerobic Environment,&quot; Jour. Water Pollution Control Federation, 33, 978-995 (1961) . Jour. Water Pollution Control Federation . 33, 54-72 (1961) . Pollution Control Commission Report, June, 1961.
popular of public improvements . &quot;1 - shown in Table 1 .
the same as that of the raw waste . ganic materials that are not biwill thus increase during treatment . quite susceptible to anaerobic treatad0.ed with caution .-. 'frogen and phosphorus, present . 1 . Organic strength and composition . Content of potentially toxic materials . Fatty Acid . . . . . . . .
can be expected at mesophilic ternperature9 of about 95 °F . must be treated at less than the optimum temperatures. achieved if the methane gas protion rate . mediate between these two extremes . added for satisfactory treatment . methane produced for waste heating. feet of digester tank volume per day . loading and hydraulic detention time . treatment of concentrated wastes . adequate treatment as given in Table 3 .
minimum SRT listed in Table 3 .
choice for wastes with organic concentrations less than one percent. them to settle in the settling tank . one of the advantages of the anaerobic treatment process. process for the stabilization of industrial wastes . very dilute wastes and at low temperatures. *Volatile suspended solids, rather than BOD5 . for wastes with BOD ;, concentrations greater than 1,000 mg/ L.
dilute wastes and at low temperatures can be realized . Purdue Engincering Extension Series 109, 423-437 (1962) . Anaerobic Digestion .&quot; The Brewer's Guardian, (1960) . Chemistry and Microbiology,&quot; PUBLIC WORKS, 107-112 (Sept . 1964) . Contact Process as Applied to Packinghouse Waste,&quot; Sewage and Industrial Wastes, 27, 460-486 (1955) . Extension Series 109, 332-350 (1962) . Pergamon Press, London (1964) . Purdue Engineering Extension Series 109, 232-250 (1962) . (the graph neglects any heat recovery that might be obtained from the digested sludge). staff and sophisticated equipment and for coastal and tourist cities. can be used for AFs, and demonstrate treatment efficiency of domestic wastewater. decomposed into lower fatty acids such as acetic and propionic by acid forming bacteria. (Speece, 1996). The growth rate of the methanogens is low and is usually the ratelimiting step. Long SRT is required to retain the slow growing methanogens. minimum SRT required is approximately 10-15 days at 35 C.
depending on different substrates and operational conditions (Nahle, 1991). preventing solids from leaving the reactor (Lettinga &amp; Pol, 1986, 1991; Souza, 1986). COD’s less than 300 mg/L. Temperature had limited effect on removal efficiency. the top of a UASB (Guiot &amp; Van den Berg, 1985; Di Berardino, 1997). tables are divided by classifying the studies into laboratory, pilot, demonstration or fullscale application. Table 1 shows 24 previously published studies of laboratory scale (&lt; 10 L) AFs. BOD removal from domestic wastewater in a demonstration facility. Kobayashi et al. Nour (2001) also had varied success in treating low strength waste in anaerobic filters. Frostell (1981), Guerrero et al. 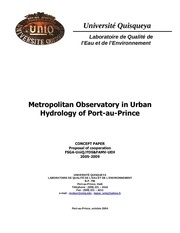 (1997), Leal et al. (1998), Wilson et al. (1998), Ince et al. (2000), Alves et al. (2001), Garrido et al. (2001) are some notable examples. installations are in Europe, South America and Southeast Asia. 1976, with Lettinga et al. (1983) performing many of the early studies. De Man et al. (1999) treated domestic sewage from small villages using a partitioned UASB reactor. reactors to achieve 75% BOD removal. currently no full-scale installations treating low strength wastewater. reactors have also been used for industrial wastewater (Kato et al., 1997). The efficiencies ranged from 5% COD removal to as high as 99% COD removal. 30 mg/L TSS), and to achieve nutrient removal. efficiency, gas production and gas composition as a function of key process variables. methane yield will be equal to each other as shown in equation (5). kinetics in equation (6) was used to describe the utilization of substrate. effluent biomass concentration as the biomass is retained in the packing media. CO2, CH4 and NH3 during biomass growth are shown by r1 , r3 and r5 respectively. the gases in the gas phase. Henry’s Law constants are a function of the temperature. The charge balance in the reactor gives the alkalinity equation (11). concentrations (eq. 19) in the liquid phase. biological growth and decay as shown in equation (22). chemical reaction in the reactor. dissolved methane production during biological growth and decay (eq. 24). ammonia concentration and the reaction rates during biological growth and decay (eq. the gas transfer rate and the outflow from the gas phase (eq. 26). nitrogen in the influent wastewater. may be useful in reducing the load on the secondary treatment system. Ce fichier a été mis en ligne par un utilisateur du site. Identifiant unique du document: 00507556.